Elizabeth Murphy was born in Liverpool and lived in Merseyside all her life. When she was twelve, her father gave her a sixpenny book from a second-hand bookstall, Liverpool Table Talk One Hundred Years Ago, which led to her lifelong interest in Liverpool’s history. Throughout her girlhood, Elizabeth said, there was an endless story unfolding in her mind with a constantly changing cast of characters, but it was only in the 1970s that she started to commit the stories to paper. 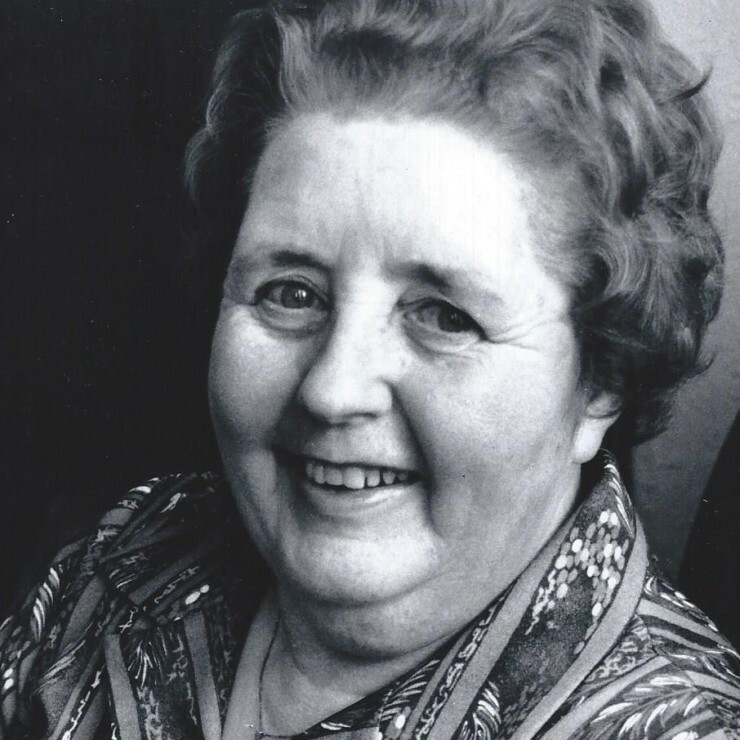 Her first novel, The Land is Bright, was shortlisted for the Romantic Novel of the Year Award in 1989 and the continuation of the story of the Ward family, To Give and to Take, There is a Season, A Nest of Singing Birds and Honour Thy Father, won even more readers and gathered critical acclaim, as did her later novels, A Wise Child and When Day is Done. All her novels were originally published by Headline and she was one of the first successful writers of sagas, with the Liverpool setting ever popular in this genre. Her first four novels will reach a new generation of readers when they are reissued in 2018. Eizabeth’s final novel was Comfort Me with Apples and she died in 2002.